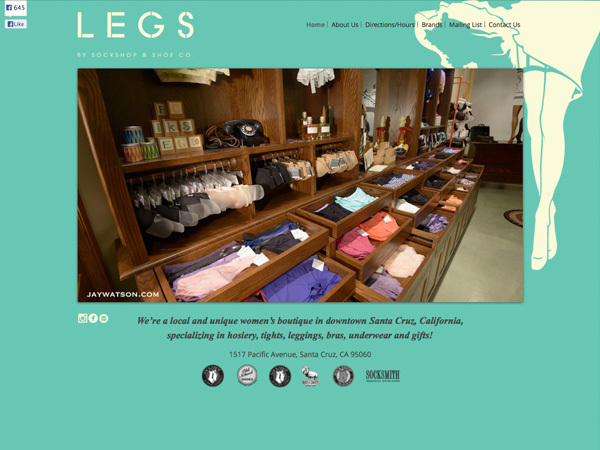 Legs, a women’s boutique in downtown Santa Cruz, California specializing in fine hosiery and lingerie. This is the store nextdoor to the Sockshop & Shoe company. 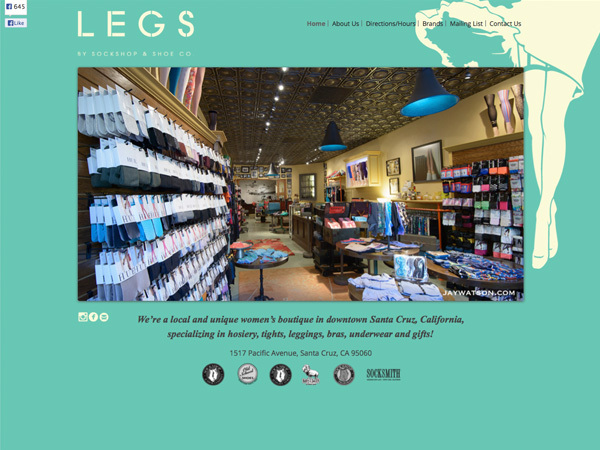 Legs, a women’s boutique in downtown Santa Cruz, California specializing in fine hosiery and lingerie. We are locally owned by Sockshop and Shoe Company.